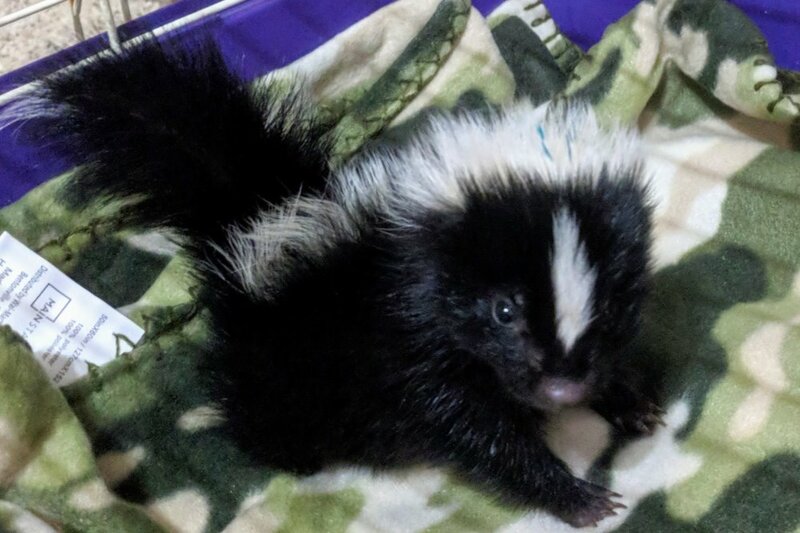 Indiana Skunk Rescue started in 2018. From June of 2018 to date (October of 2018) we have saved 4 domestic skunks and over 90 wild skunks! We have done a TV spot to be aired in December, 12 educational programs, attended 10 festivals educating the public on skunks, did the scarecrow exhibit on the Danville town square, Get Involved 2018 event, Special Olympics. Just to name a few things we are doing to educate the public on skunks. We are booked with programs and events through March. Everything we do is FREE of charge! So far the only fund raising we have done is charge a $1 donation to pet a skunk at the festivals I have attended. Our goal is to help skunks in need and educate people about skunks. We are the ONLY skunk rescue to anyone's knowledge in the USA that can help both domestic and wild skunks legally.